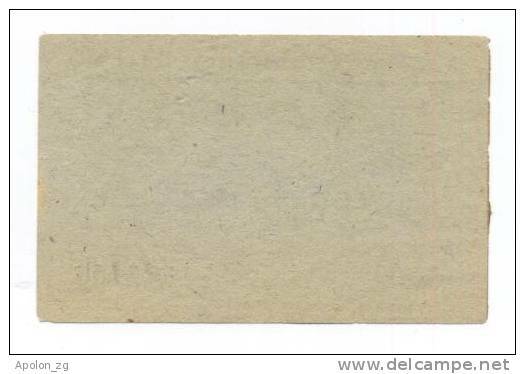 Ohne Zuordnung - GERMANY - DEUTSCHLAND: 4 RM (1943-1944) -UNC *WORLD WAR II - NAZI - Concentration Camp DACHAU *MEGA RARE HOLOCAUST NOTE! 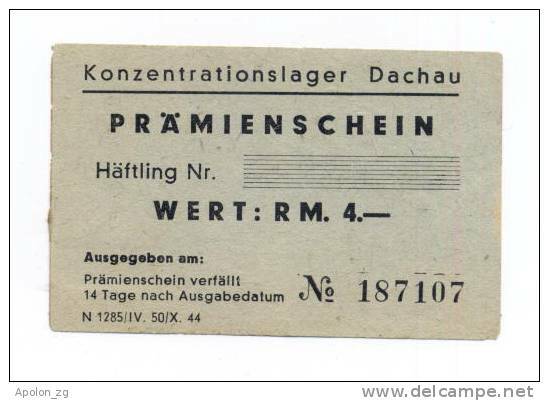 This is 100% authentic and extremely rare World War II - Concentration Camp Dachau 4 Raichsmark ND(1943-1944) note. 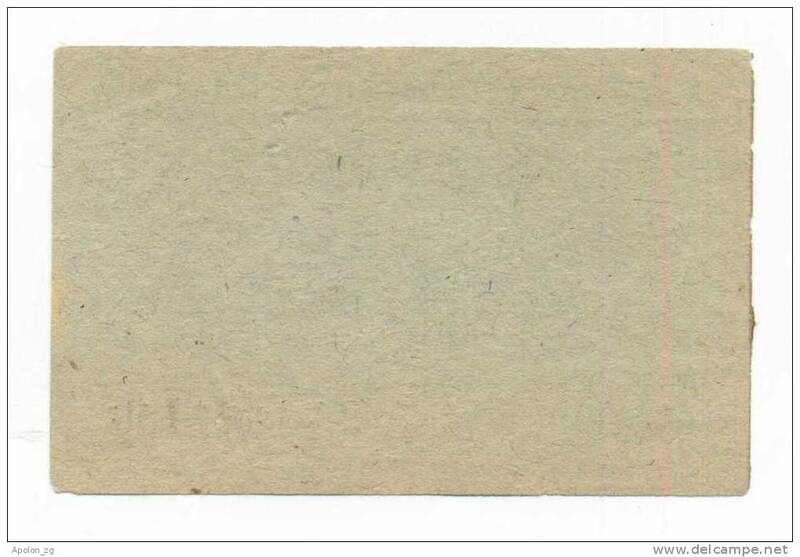 EXTREMELY RARE WWII HOLOCAUST NOTE OF MUSEUM VALUE !!! Dachau concentration camp (German: Konzentrationslager Dachau or KZ-Dachau) was the first Nazi concentration camp opened in Germany, located on the grounds of an abandoned munitions factory near the medieval town of Dachau, about 16 km (10 miles) northwest of Munich in the state of Bavaria which is located in southern Germany. Opened in March 1933, it was the first regular concentration camp established by the coalition government of National Socialist (Nazi) NSDAP party and the German Nationalist People\´s party (dissolved on 6 July 1933). Heinrich Himmler, Chief of Police of Munich, officially described the camp as "the first concentration camp for political prisoners." that I may not to Dachau come." Its basic organization, camp layout as well as the plan for the buildings were developed by Kommandant Theodor Eicke and were applied to all later camps. He had a separate secure camp near the command center, which consisted of living quarters, administration, and army camps. Eicke himself became the chief inspector for all concentration camps, responsible for molding the others according to his model. In total, over 200,000 prisoners from more than 30 countries were housed in Dachau of whom two-thirds were political prisoners and nearly one-third were Jews.25,613 prisoners are believed to have died in the camp and almost another 10,000 in its subcamps, primarily from disease, malnutrition and suicide. In early 1945, there was a typhus epidemic in the camp followed by an evacuation, in which large numbers of the weaker prisoners died. Together with the much larger Auschwitz, Dachau has come to symbolize the Nazi concentration camps to many people. Konzentrationslager (KZ) Dachau holds a significant place in public memory because it was the second camp to be liberated by British or American forces. Therefore, it was one of the first places where the West was exposed to the reality of Nazi brutality through firsthand journalist accounts and through newsreels. In early 1937, the SS, using prisoner labor, initiated construction of a large complex of buildings on the grounds of the original camp. Prisoners were forced to do this work, starting with the destruction of the old munitions factory, under terrible conditions. The construction was officially completed in mid-August 1938 and the camp remained essentially unchanged and in operation until 1945. Dachau thus was the longest running concentration camp of the Third Reich. The area in Dachau included other SS facilities beside the concentration camp—a leader school of the economic and civil service, the medical school of the SS, etc. The KZ at that time was called a "protective custody camp," and occupied less than half of the area of the entire complex. Dachau also served as the central camp for Christian religious prisoners. According to records of the Roman Catholic Church, at least 3,000 preachers, deacons, priests, and bishops were imprisoned there. In August 1944 a women´s camp opened inside Dachau. Its first shipment of women came from Auschwitz Birkenau. Only 19 women guards served at Dachau, most of them until liberation. Sources show the names of sixteen of the nineteen women guarding the camp; Fanny Baur, Leopoldine Bittermann, Ernestine Brenner, Anna Buck, Rosa Dolaschko, Maria Eder, Rosa Grassmann, Betty Hanneschaleger, Ruth Elfriede Hildner, Josefa Keller, Berta Kimplinger, Lieselotte Klaudat, Theresia Kopp, Rosalie Leimboeck, and Thea Miesl. Women guards were also staffed at the Augsburg Michelwerke, Burgau, Kaufering, Mühldorf, and Munich Agfa Camera Werke subcamps. In mid-April 1945 many female subcamps at Kaufering, Augsburg and Munich closed, and the SS women stationed at Dachau. It is reported that female SS guards gave prisoners guns before liberation to save them from postwar prosecution. 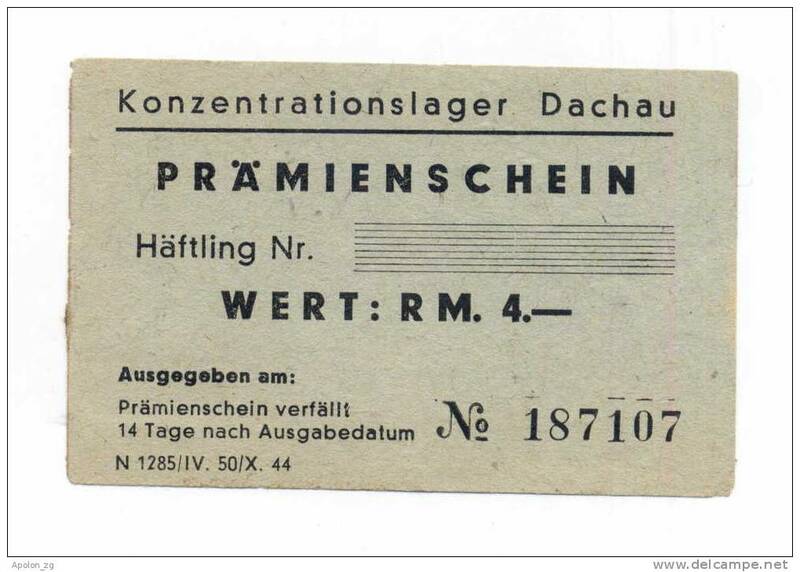 In the last months of the war, the conditions at Dachau became even worse. As Allied forces advanced toward Germany, the Germans began to move prisoners in concentration camps near the front to more centrally located camps. They hoped to prevent the liberation of large numbers of prisoners. Transports from the evacuated camps arrived continuously at Dachau. After days of travel with little or no food or water, the prisoners arrived weak and exhausted, often near death. Typhus epidemics became a serious problem as a result of overcrowding, poor sanitary conditions, insufficient provisions, and the weakened state of the prisoners. On 24 April, 1945 about 140 prominent inmates, such as Leon Blum, Martin Niemöller and Franz Halder, were transferred to Tyrol, where the SS left the prisoners behind. They were liberated by the Fifth U.S. Army on May 5, 1945 in Niederdorf, Italy. On 27 April, 1945 Victor Maurer, delegate of the International Committee of the Red Cross, was allowed to enter camps and distribute food. In the evening of the same day a prisoner transport arrived from Buchenwald. Only 800 survivors were brought from the original 4,480 to 4,800 prisoners in transit. Over 2,300 corpses were left lying in and around the train. The last regular commander of the KZ, Obersturmbannführer Eduard Weiter, had fled on 26 April. He probably followed Obersturmbannführer Martin Gottfried Weiss, who had led the camp from September 1942 until November 1943. On 28 April, 1945, the day before the surrender, Camp Commandant Martin Gottfried Weiss had left the Dachau camp, along with most of the regular guards and administrators in the camp. On that same day, Victor Maurer, a representative of the Red Cross, had tried to persuade Untersturmführer Johannes Otto, the adjutant of Commandant Weiss, not to abandon the camp, but to leave guards posted to keep the prisoners inside until the Americans arrived. Maurer feared that the prisoners would escape en masse and spread the active typhus fever epidemic. Lt. Otto declined to remain and fled. PLEASE READ CAREFULY MY PAYMENT INSTRUCTION BEFORE YOU BID. PLEASE DO NOT BID IF YOU DO NOT ACCEPT ANY OF MY PAYMENT TERMS !!! Wire transfer bank to bank (IBAN, SWIFT on your demand) in full amount only. For customers from EU bank transfer is free. Payment sent from your local post office directly to my home address. For other methods, solutions or means of payment please email me. Deutschland, Germany - 5000 Reichsmark, Steuergutschein I, Ro. 721b, 1940 !